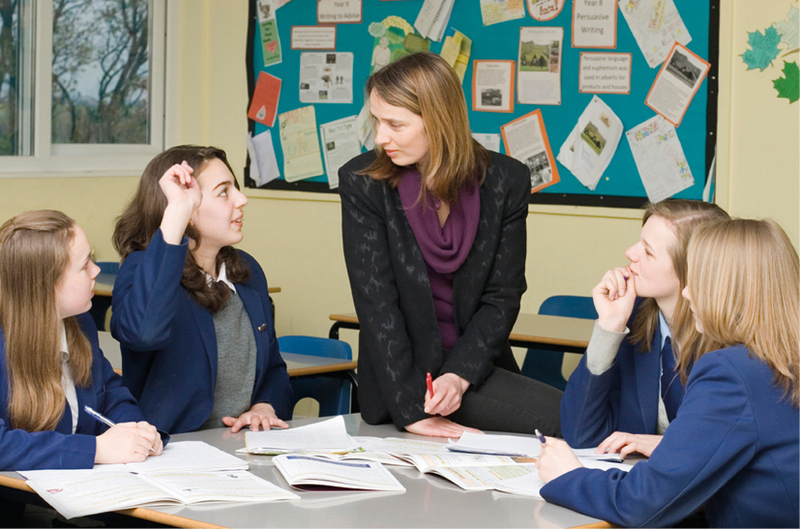 English secondary schools are held accountable in two ways. The government publishes data about exam results, and Ofsted inspects schools, taking the data into account. But a major shift in how success is measured for GCSEs is coming, writes Tim Leunig, Chief Analyst and Senior ￼￼￼Ministerial Policy Adviser at the Department for Education. The UK’s school accountability framework is generally seen as world-leading, with the OECD’s education head Andreas Schleicher telling Parliament this year that “strong public accountability” is an important part of “the most successful education systems”. Prior to 2010, a school was “above the floor” if three in ten pupils were awarded 5 of more GCSEs of grade C or better. Schools failing to meet this standard were deemed to be “below the floor”. Such schools would be inspected by Ofsted. Should Ofsted confirm that the school’s performance is poor, a change of management would follow. This approach encourages schools to concentrate on C/D borderline pupils. Getting a pupil from Cs to A*s, or from Fs to Ds gets no credit. It also means that intake, not the quality of teaching, largely determines whether a school is defined as doing well. A grammar school will never be below the floor, whereas some schools have intakes that are much more challenging. This makes jobs in schools with challenging intakes more pressured, and less attractive. These criticisms have been widely understood for some time. One education expert, Loic Menzies, wrote “I hate the distortive effects of the 5 A*-C at GCSE accountability measure. Don’t all teachers? Doesn’t any parent who has seen the effect it has on their children’s education?”. We took the overwhelming consensus that the previous system was not fit for purpose seriously. As civil servants, we set ourselves a number of criteria by which to judge any proposals. These criteria embodied Ministers’ aims. Can a school do well, whatever its intake? Does a school improve its score if any pupil improves their grades? Are we rewarding schools that do well in English and Maths? Are we rewarding schools that do well in traditional subjects? Are we rewarding schools that offer a broad and balanced curriculum? Are we rewarding schools that achieve A and A* grades? This led us to a set of proposals in the consultation document. The first criterion led us to argue that schools should be judged not on their pupils’ results per se, but on their pupils’ results given their grades at age 11. The second criterion led us to argue that all pupils should be included, and that every grade should count. The third criterion led us to argue that English and Maths should be double weighted in the calculations, reflecting their importance for young people. The fourth criterion led us to require that at least three further subjects were traditional academic subjects, as defined by the English Baccalaureate. Criterion five led us to assess schools as to how well they do over eight subjects, rather than the current five. The final criterion led us to propose that every grade improvement should be reflected in the proposals, rather than just having a C threshold. The Department for Education maintains the National Pupil Database, which records the grades of each and every pupil. This allowed us to model different ideas against these criteria very accurately. Analysts were key and worked tirelessly to analyse and present their conclusions. We were able to assess the likely number of schools that would be below the floor, as well as to look at the likely behavioural responses from schools. For example, some schools currently offer a curriculum that is tailored to an accountability regime that does not require many traditional academic GCSEs. It is clear that these schools will change their behaviour to offer a more appropriate mix of subjects. The consultation document was broadly well-received, with generally supportive responses from parents, teachers, heads, and educationalists. Notwithstanding the positive response, we took concerns seriously. For example, the consultation document proposed keeping a C threshold in English and Maths, but all of the maths organisations argued that this distorted maths teaching, with too much “teaching to the test” and too little development of deeper learning and understanding. We listened, and took out the C threshold in both subjects. The new system has at its core the progress that all pupils make in their time at secondary school. All pupils count equally, so there is no incentive for schools to prioritise any pupil over another. A school’s intake of pupils doesn’t matter, because the new system is based on the progress pupils make, not their final attainment. Schools will receive points for grades in 8 GCSE subjects. A G grade gets 1 point, up to 8 for an A*. English and Maths have to be in the mix, and are doubled weighted, reflecting their importance. A further three subjects have to be traditional academic subjects (sciences, humanities, languages) and three are open – they could be more academic subjects or creative or vocational subjects. Each pupil’s GCSE score is compared with that of other pupils who performed equally well at age 11. This gives us a measure of the pupil’s progress relative to reasonable expectations. A school’s progress score is the average of its pupils’ progress scores. This is the key measure: if pupils in a school average half a grade lower than the same mix of children typically achieve elsewhere, the school is below the floor, and will be inspected. Furthermore, every school will have to declare their progress score on their website. Parents will know whether children typically learn more or less in each of their local schools. The formal national accountability system will support local, informal, accountability at the school gate. It is generally good practice to pilot major changes, but in this case that would be difficult. Accountability affects how children are taught for five years. A pilot would take at least that long – and that would be five more cohorts of children who would suffer the distorting effects of the current system. For that reason we will not be piloting the new system, which takes effect from 2016. We are, however, allowing schools to opt in a year early, if they would like to do so. Many have said that they will, recognising that the new system is a fairer approach. The proposal has been universally welcomed. Graham Stuart, (Conservative) chair of the Education Select Committee described it as “an educational breakthrough”, while by his (Labour) predecessor, Barry Sheerman said it was “the best statement I have heard from a Minister since 2010”. Independent experts agreed. To quote Loic Menzies again: “it is *the* most important (positive) change the Coalition is making in education.” One head described it as “a real game changer”, while another said “these new measures are challenging and fair”. ASCL, the principal heads’ union stated that they had argued “for a change to this kind of measure for many years”. Even the NUT, who argue against quantitative accountability measures, described the changes as a “step in the right direction”, particularly welcoming “the move away from a ‘spotlight’ on pupils on the C/D borderline”. The Local Schools Network, who have been critical of most of the current government’s changes said that “this is one of the most well-thought out papers to come out of the DfE recently, asking the right questions and raising the right issues”. The likely impact of these changes is large. University of Bristol academics looked at the effect of changes in the accountability system in Wales. They found that the abolition of accountability worsened grades in around three quarters of schools, to the same extent as increasing class sizes by 8 people. This is a large effect. The ‘5 A-to-Cs’ standard covered all schools in England, but in reality schools had little incentive to care about pupils who were not close to the threshold. The new system means that schools will have an incentive to care about the progress of these pupils as well. There are some 300,000 such pupils each year, and therefore we expect that these changes will improve the education of around this number of England’s children. Really good, clear explanation Tim. The sad thing about all these changes is that they are really doing nothing more than re-introducing the idea of value-added, but calling it something different so that we keep the politicians who don't like the term happy. And when you do look at the value added in schools in England, you find that as long as you go to school, it doesn't matter very much which school you go to, at least in terms of academic achievement. Analysis of GCSE grades and PISA scores suggests that only around 7% of the variation in GCSE score in England is attributable to the school the pupil attends. What this means is that for only around 10% of pupils does the choice of school make a difference to whether the pupil reaches a particular threshold of achievement. For the other 90%, they are either so far above the threshold they will make it anyway, or so far below the threshold that even with the best school chosen with perfect hindsight, they still won't reach it. So, focusing on value-added is good, whatever we call it, but these proposals do not go far enough because schools that attract higher achieving pupils (whether because of their selection policies or because of their catchment area) will be at an advantage, because progress measures will be calculated on the basis of individual pupils. Pupils who attend schools with other high-achieving students will benefit from peer effects, which will be denied to equally able students attending schools with lower average achievement on entry. The result will be more coasting grammar schools, who are regarded as excellent even though their pupils are making less progress than they should be, and more vilification of schools whose major fault is failing to attract high achieving pupils at the outset.